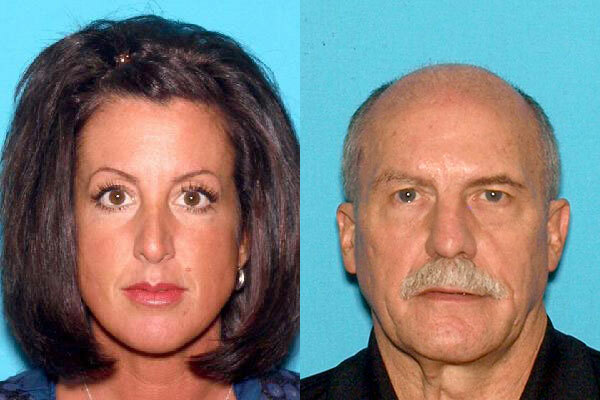 Two Brick homeowners have been charged with falsely claiming their seasonal homes in the township were their primary residences in order to obtain Superstorm Sandy relief aid. William O’Donnell, 62, of St. James, N.Y., allegedly filed fraudulent applications following Sandy for FEMA assistance, state grants under the Homeowner Resettlement Program (RSP) and the Reconstruction, Rehabilitation, Elevation and Mitigation (RREM) Program, as well as state rental assistance under the Sandy Homeowner Rental Assistance Program (SHRAP) funded by the State Department of Human Services. He received a total of $19,176 as a result of the alleged fraud, Acting New Jersey Attorney General John Hoffman said in a statement. It is alleged that O’Donnell falsely claimed that a storm-damaged property he owned with a relative on Cedar Point Avenue was his primary residence at the time Sandy hit. It is alleged that, in reality, O’Donnell’s primary residence was a relative’s home in St. James, N.Y., and the property in Brick was unoccupied. O’Donnell received $6,741 from FEMA for rental assistance and personal property loss. He also received a $10,000 RSP grant and $2,435 in state rental assistance through the SHRAP program. He was awarded the maximum grant of $150,000 under the RREM program, but the award was placed on hold as a result of the state’s investigation and no payments were made. O’Donnell is charged with second-degree attempted theft by deception, third-degree theft by deception and fourth-degree unsworn falsification. Sandra L. Elliott, 44, of Nutley, was also charged. Elliott is accused of fraudulently obtaining $93,055 by filing false applications for state grants under the RSP and RREM program. It is alleged that Elliott falsely claimed that a storm-damaged property she co-owns with her parents on East Coral Drive was her primary residence at the time Sandy hit. It is alleged that, in reality, Elliott’s primary residence was in Nutley, and the Brick property was a vacation home. Elliott received a $10,000 RSP grant and a total of $83,055 in RREM grant payments to repair the Brick property. She allegedly submitted fraudulent rent receipts that falsely indicated that she had leased her Nutley home to a renter prior to the storm. Elliott also applied for a low-interest SBA disaster-relief loan, but her application for an SBA loan was rejected. Elliott is charged with second-degree theft by deception and fourth-degree unsworn falsification. The two Brick homeowners were among seven people charged in various Sandy-related fraud schemes this week. So far, the state has prosecuted 45 such cases, Hoffman said. Second-degree charges carry a sentence of five to 10 years in state prison and a fine of up to $150,000. Third-degree charges carry a sentence of three to five years in state prison and a fine of up to $15,000, while fourth-degree charges carry a sentence of up to 18 months in state prison and a fine of $10,000.